I have seen this post floating around a few times and it came to the point that one day I saw that these two wonderful people have done this tag! As soon as I saw that Jenn from Thrice Read and Jay from This Is My Truth Now, I had to do it. Even though it is not July 2, which is actually the middle of the year, I want to do this tag now because my summer is going to be crazy! This is sort of hard to answer because there are so many amazing books I have read this year! I think I would have to say Lily Collins’ Unfiltered: No Shame, No Regrets, Just Me. I buddy read this book with Tatiana @ littlebookfool and I loved the whole thing. If you have not checked this book out, you need to because it will open your eyes up to so many amazing things! Probably A Court of Wings and Ruin by Sarah J. Maas. Even though it is the third book in the series, I am still counting it as a sequel. This book. What can I say without spoiling it. RHYSAND. RHYSAND. RHYSAND. That sounds good enough. Lord of Shadows by Cassandra Clare. It is still staring at me telling me to read it. I just haven’t gotten the time to read it yet! I really want to go and read the book really soon. Why are there so many books coming out in the second half of the year?! At least I will get some sort of money by them because I should have my new phone by then. But, of course I have to go and get this one on the list because it is Sarah J. Maas. Tower of Dawn comes out September 5 and I am planning on getting my new phone a little before getting this beauty. Passenger by Alexandra Bracken. I loved her other book series but something about this book was just terrible. I was expecting so many amazing things but I just didn’t see it in this book. I’m going to give the second book a try but I don’t know how well that is going to go. 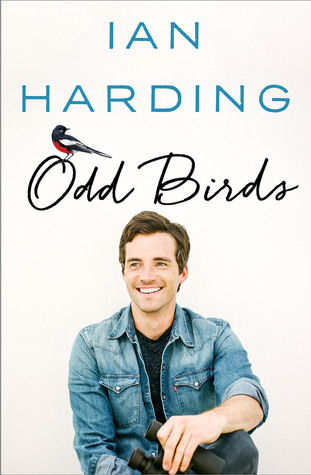 Ian Harding’s Odd Birds. It was a totally different memoir and it was really fun to read. I wasn’t too sure about how the book was going to be like but I really enjoyed it. Estelle Maskame. She wrote the DIMILY trilogy and I loved them way too much. I read these books in like a day and they were so intriguing. Yes, there is a girl that is with her step brother but these books are more than that. Estelle has such a great writing style and I would love to meet her one day! Even though I wasn’t the biggest fan of the book, Nicholas from Passenger by Alexandra Bracken. I really want to meet someone like Nicholas in real life. He was just so sweet and caring that I want to hug him. Magiano from The Rose Society and The Midnight Star by Marie Lu. Magiano could also be one of my new boyfriends just because he was awesome. I loved everything that he did and he was just powerful. He knew what he wanted and he would always go after it. I think I have told you this story before but A Court of Wings and Ruin by Sarah J. Maas. If you don’t know the story here you go. I’m not much of a crier. It is rare that my family sees me cry. There is a certain part of the book that I just could not handle but I needed to get up. I composed myself enough to get up but I started crying as soon as I started to talk to my mom. Yep. 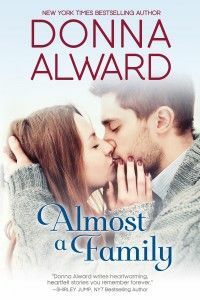 Donna Alward’s Almost a Family. I didn’t exactly enjoy reading the book but I couldn’t help but have a smile on my face while I read the book. Shocker but I have to say Everything, Everything. I loved the book and I loved the movie. Yes, there were some stuff that they changed from the book to the movie but it was overall pretty good. 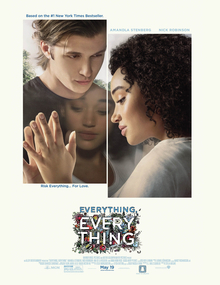 Plus, I think that is the only book to movie adaptation I have watched this year so far. I actually have two post that were very fun to write that I have to mention and they were How I Can Afford All the Books I Buy and 7 Excuses I Use When Buying Books. I really love how they look and how they flow! 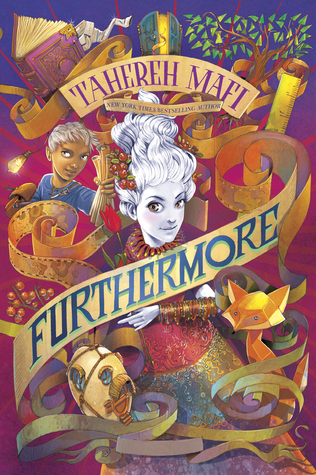 I have bought so many beautiful books but I think I will have to go with Furthermore by Tahereh Mafi. It is absolutely beautiful. One of my recent post actually went along with this…. The post deals with all the books I want to read this summer, or at least by the end of the year. You can check it out here. How have you been this year? What is one of your favorite things about this year? What is your favorite book that you read this year? Your favorite author? Have you read any of these books? How is your TBR list? What would your answers be for this tag? Let me know your thoughts in the comments! Haha, yes! A Court of Wings And Ruin made me cry too and I definitely agree with your picks. 🙂 Great choices! Thanks! I’m glad that you like my answers! …you know what’s really bad? xD I saw that you tagged me in this and thought, ‘Silly, that tag is for half way through the year, not nowww—-‘ and then my brain went ‘IT’S JUNE. THAT’S HALF.’. This year has gone so fast, haha. 😂😂😂 this year has really gone by so fast! It feels like just yesterday it was 2016 and now people are telling me it is 2017. Nests and Cassian were amazing together! (My phone kept autocorrecting Cassian a million times). They really need to get their self a book. Have you read the next book in the Passenger series? I’m planning on reading it soon since I have it but I really don’t know if I want to be disappointed again in Alexandra Bracken. I’m glad that you liked the tag! I can’t wait to read your answers!